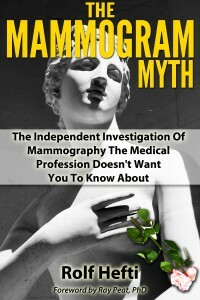 Eighteen months ago we reviewed a book by Peter Gøtzsche entitled Mammography Screening with the provocative subtitle Truth, Lies and Controversy, in which the author, a well-published epidemiologist, argued that millions of women had been seduced into attending screening without knowing it could harm them. 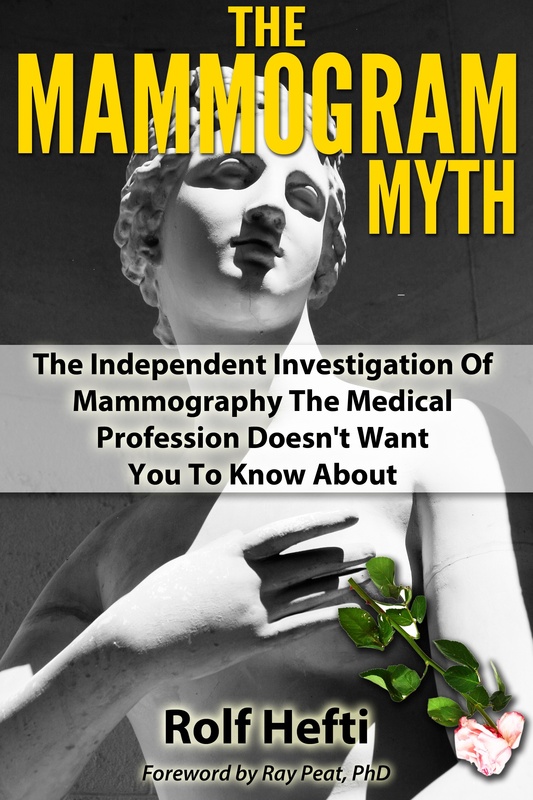 Last month saw the publication of an eBook, available on Amazon for just $7.99, entitled The Mammogram Myth, with the equally provocative subtitle The Independent Investigation of Mammography the Medical Profession Doesn’t Want You to Know About. The author Rolf Hefti describes himself as “an independent researcher” who runs the website Supplements and Health. 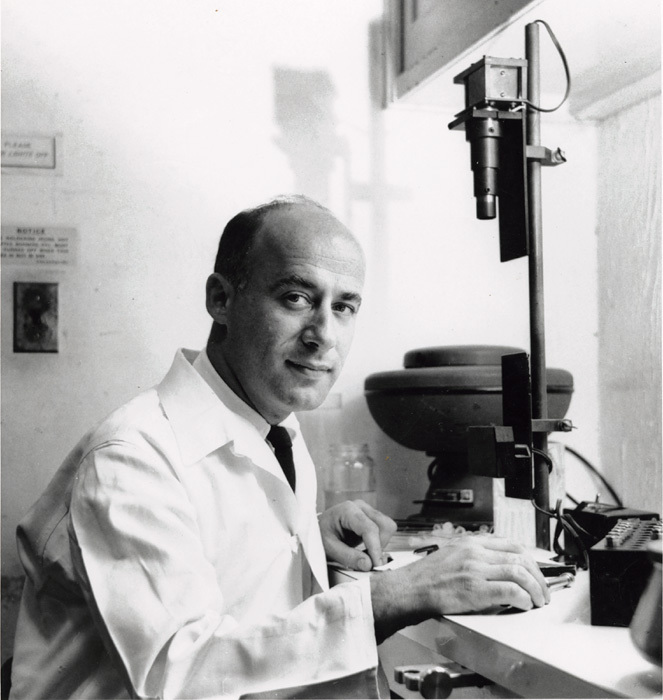 One of the key people whose research Hefti frequently cites is John Gofman, a distinguished medical scientist who passed away in 2007 at age 88. Gofman’s PhD thesis described radioactive uranium-232 and he was a key member of the Manhattan Project that developed the first atomic bomb. His team at the University of California, Berkeley made the plutonium that was used in the bomb dropped on Nagasaki. After World War II, Gofman trained as a medical doctor, turning his research focus to coronary disease, and becoming an outspoken critic of nuclear proliferation. John Gofman in 1950. Copyright UC Berkeley. In 1996 Gofman published a book entitled Preventing Breast Cancer: The Story of a Major, Proven, Preventable Cause of This Disease, in which he made the astonishing claim that 75% of all breast cancers were caused by women being exposed to ionising radiation from X-rays. As highlighted in a review in JAMA, Gofman’s claim — based on an extensive literature review and certain critical assumptions — was at variance with every other authority, including the National Academy of Sciences and the National Council on Radiation Protection. Martin Yaffe of Toronto has recently shown that the risk of radiation-induced breast cancer from mammographic screening is not negligible, but this risk is small when compared to the expected reduction in mortality achieved through screening. Examination of the Hefti web site identifies him as an alternative medicine weirdo. He is also a reference scatterer, like an Indian chef using spices to make curry. He has no base whatsoever from which to judge mammography. In his book he sets out not to find the truth, but to damn mammography, using half truths and inappropriately quoted references. File in lunatic fringe section. Your response says it all, David, although I would not have been quite so trenchant! One of the features of the internet is that anyone with an opinion can get something published, as is the case with this book which, not surprisingly, is self-published by Mr Hefti. Given their credentials, though, it’s not quite as easy to dismiss Peter Gøtzsche and John Gofman.